National Geographic Society president (1903-1954). Image credit the Hood-Morris family. Grand Staircase-Escalante National Monument and other wilderness preserves reveal the signs of electric discharge machining on an immense scale. In our continuing investigation into the geological features of planet Earth, we find that one of the most important regions to consider is the Four Corners area where the borders of Colorado, Utah, New Mexico and Arizona meet. In a previous Thunderbolts Picture of the Day article we mentioned in passing the giant sandstone tors of Monument Valley, Arizona. Such monolithic structures are said to be millions of years old and are commonly thought to be the result of erosion from wind and rain. There are difficulties with such a theory, however – not the least of which is that the layered strata are uniformly carved without regard to the hardness or the permeability of the rocks involved. The contours of the gigantic buttes and buttresses are invariably shaped in sweeping curves that meander through the landscape for hundreds of miles. 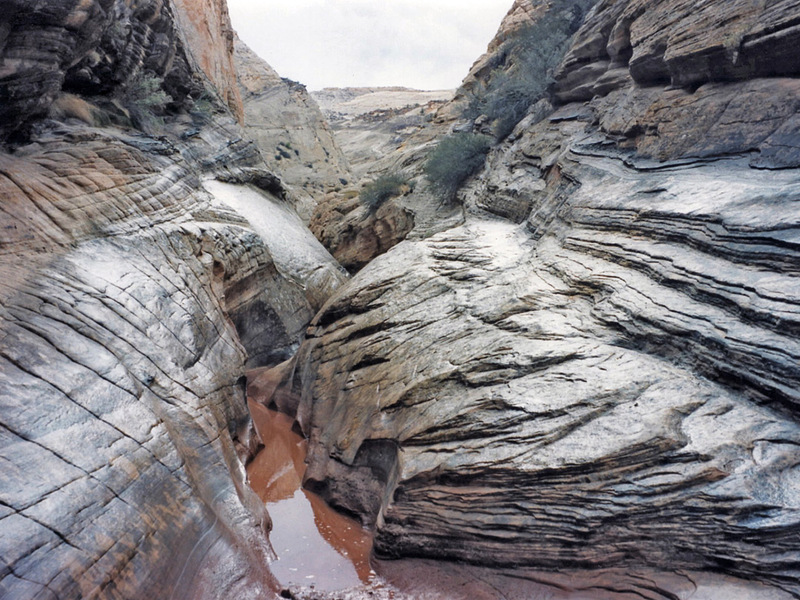 Interspersed with the vertical ridges (most with their bases surrounded by thirty-degree “shoulders”) are ancient cone-shaped vents and deep canyons containing terraces and thin fractures in the rockface. 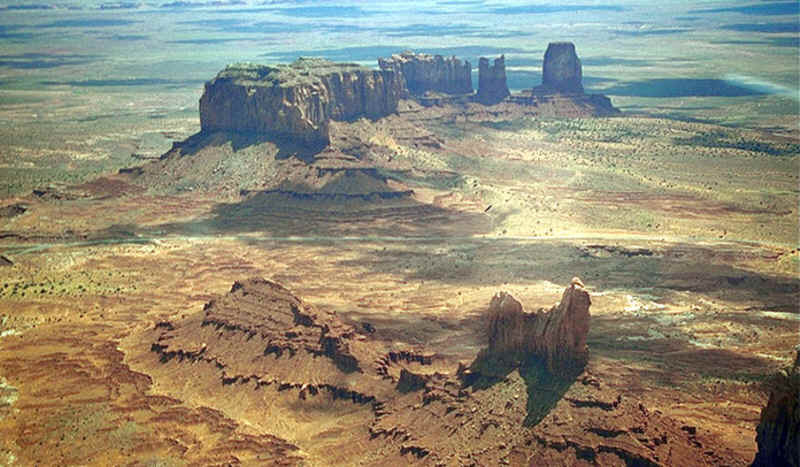 The formations, particularly those found in the Canyon de Chelly region, are somewhat reminiscent of Martian geography. 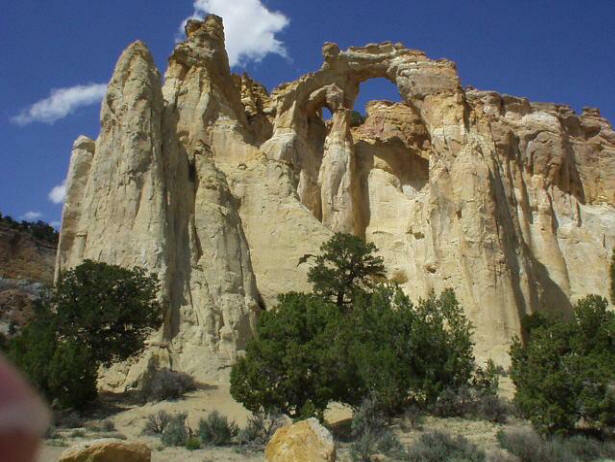 Grand Staircase-Escalante National Monument and the Capitol Reef National Park provide remarkable examples of stone monoliths, valleys, arches and cliffs that cannot be easily explained by the terrestrial forces of weather. 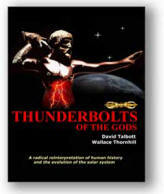 Because figures on Mars resemble those we find here on Earth, and Mars has virtually no atmosphere and no water, what force can sculpt the shapes we find in the landscape of both planets? Domes and other uplifted terrain can be found in many places on Earth. The Brandberg Massif is one example of a gigantic stone mound that rises out of flat topography, surrounded by incised striations and Lichtenberg figures burned into the rocky overburden. 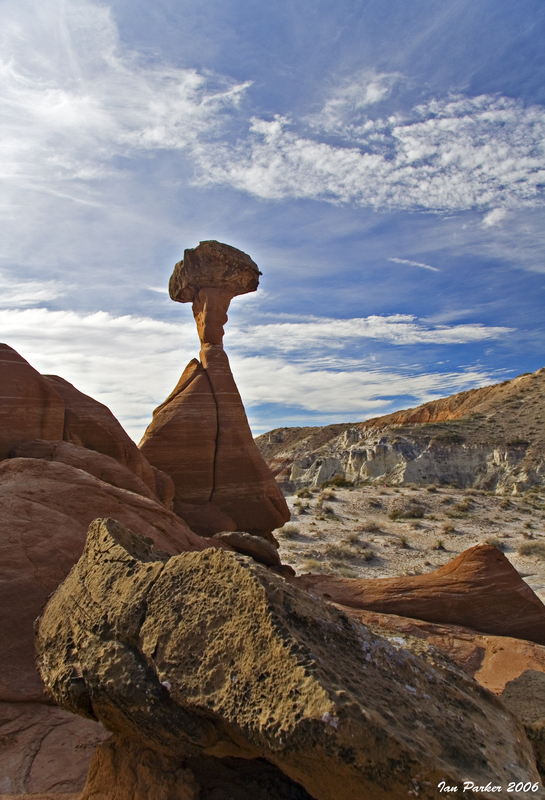 In Grand Staircase-Escalante there are smaller relatives to the gigantic Massif, like Navajo Sandstone Dome. 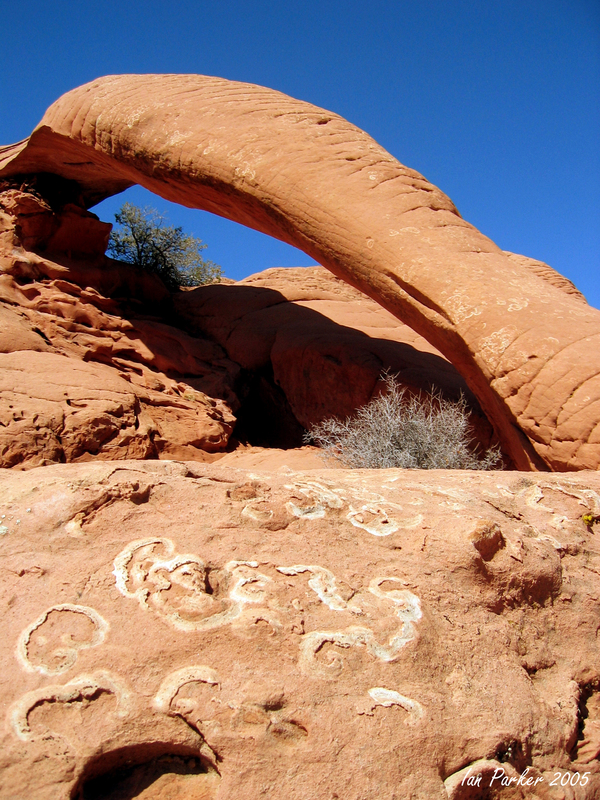 Situated in the Navajo Mountains of Utah, near the park, it is only one of many unique features found there. The 120-meter rounded mound of solid rock is crowned with a 35-meter-deep, circular pocket filled with bright orange sand. From the center of the depression rises a 12-meter column of white sandstone. 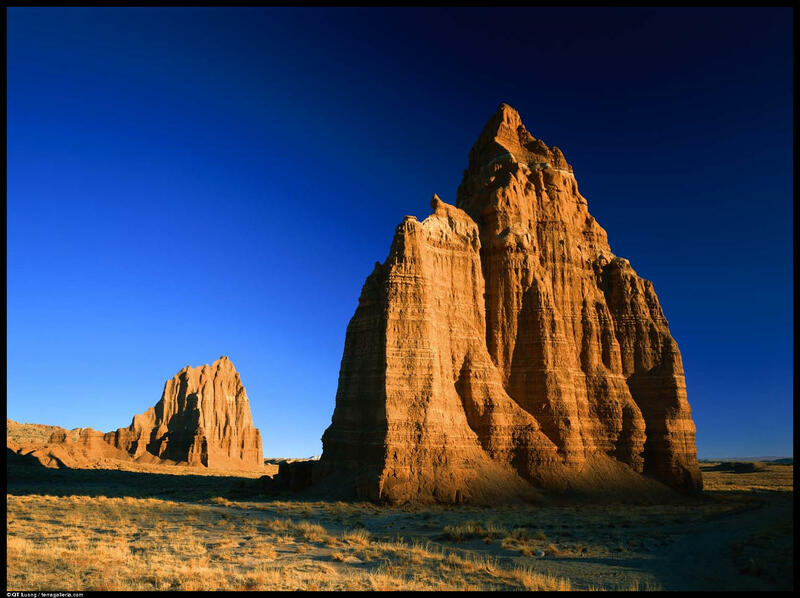 Also found in the local environs are the “reefs” for which Capitol Reef National Park is named. 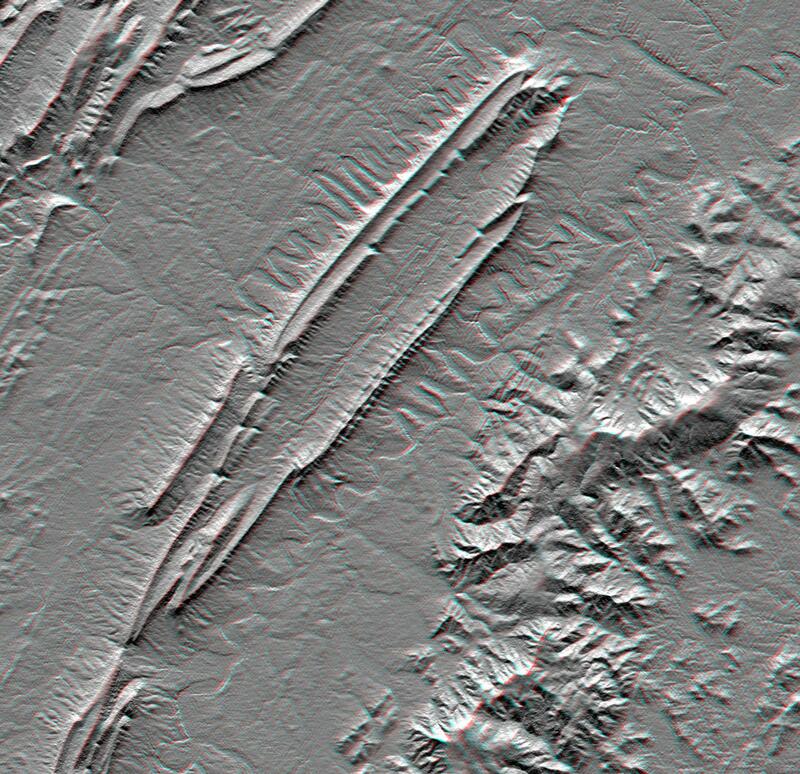 These curvilinear, dual-ridge structures are comparable to those in the Massanutten Mountains of Virginia, or the Zagros Mountains, Iran. We have also noted that “lava dikes” that sweep away from the central complex in similar fashion surround Shiprock, New Mexico.